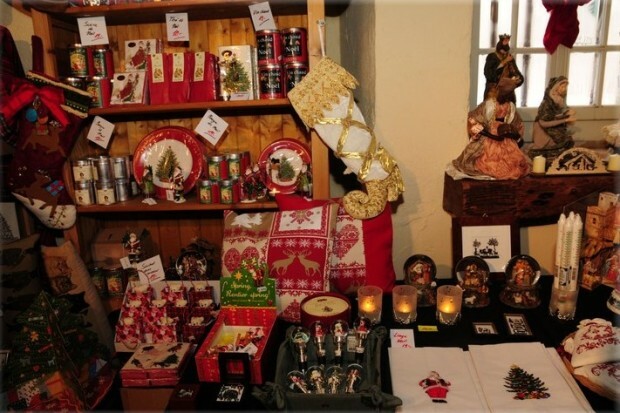 You know the holidays are around the corner when Christmas markets start showcasing their festive wares. And there are few better ways to get into the yuletide spirit, while also crossing a few items off your gift list, than strolling through a spice-scented market complete with handmade candles and advent wreaths. 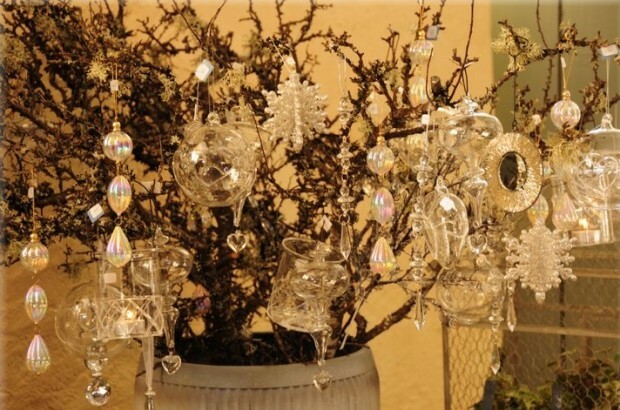 Very soon there will be an abundance of such markets to choose from, but if there’s one in the Geneva area that shouldn’t be missed, it’s the Marché de Noël at the Château de Coppet, which will run from the 27th of November to the 1st of December 2013. This elegant, centuries-old stately home was once the residence of the exiled intellectual Mme de Staël and the site of her celebrated literary salons. Today it’s the fairytale-like venue for all sorts of cultural events and celebrations, and the Christmas market is particularly at home in this elegant, historic setting. 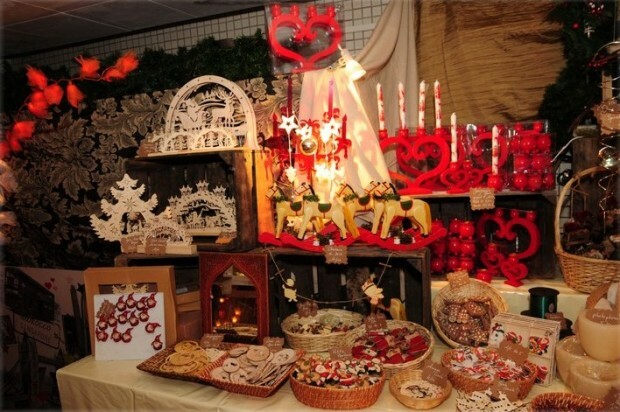 For the Xmas Market’s third edition, 70 artisans and vendors will be offering their wares, such as handcrafted jewellery, gourmet treats, luxury and artisanal gift items and, of course, holiday decorations of all sorts. You can even pick up a Christmas tree while you’re there. 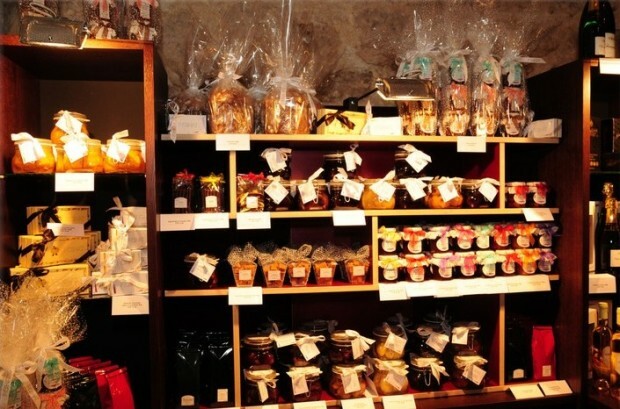 And if you tire of browsing and shopping, take a break for coffee, sandwiches and pastries at the Café Viennois, indulge a fondue or meat-and-cheese platter at the Restaurant des Alpes or enjoy the ice skating rink in the chateau’s park. In addition to the market itself, there will be workshops and entertainment on most days, including cookie-making, gingerbread decorating and Christmas stories (click here for exact dates & times). 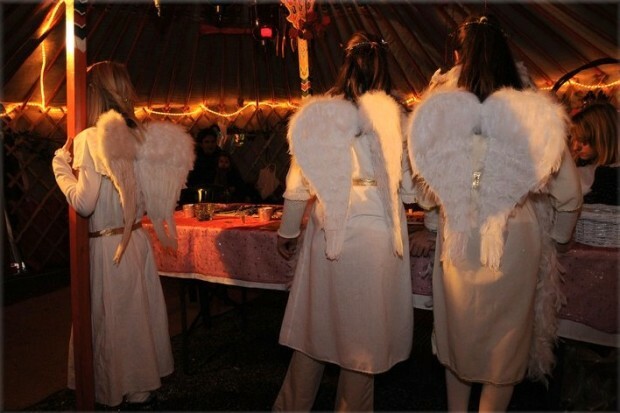 A special treat for the children is “Les Surprises des Anges” — white-robed, fluffy-winged young angels who will guide them through various creative workshops, all taking place inside a “yurt” (tent typical of Central Asia). It’s also rumoured that Père Noël himself will make an appearance on Sunday, bringing treats and sweets for little ones! 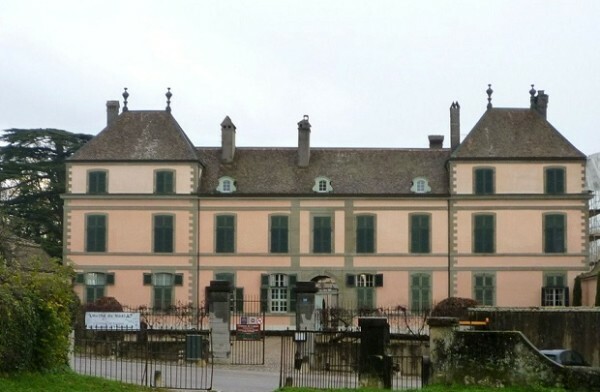 Getting to Coppet by car is easy and nearby parking is available, but taking the train is also fast and practical: the direct service takes only about 10 minutes from Geneva, and the Château is just a short walk from Coppet station. Text copyright Laura Vidale. 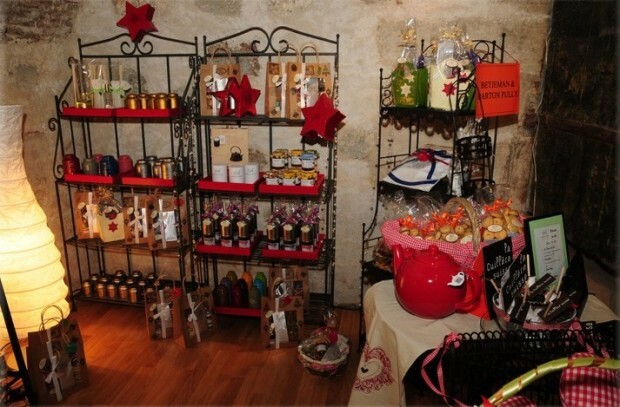 Photo © Yves Perradin, courtesy of Association des Amis du Marché de Noël du Château de Coppet. Originally from New England, Laura works as an editor and publications coordinator for an international civil engineering association. She first fell in love with Switzerland while traveling in Europe as a university student. After completing her degree in French, mathematics and geography she was able to return to the Geneva area, where she has resided for over two decades, and is still enamored with to this day. In her free time she can often be found walking in the Versoix forest with her two dogs, pursuing her obsession with local seasonal produce, enjoying a film and glass of wine with her techie husband, and exploring the cultural and gastronomic attractions of the Geneva – Nyon region.